I love to arrange things by colour or theme. Each individual item seems to take on new qualities I hadn't noticed before and the whole is a delight to look at. 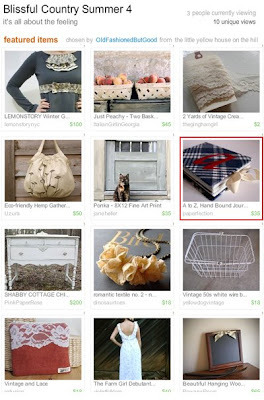 That's why I enjoy Etsy's treasury feature so much. Members can curate galeries of twelve products that are for sale on the site in whatever manner and order pleases them. Thank you, Warmandsoft and OldFashionedButGood! 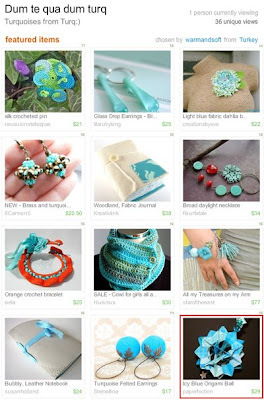 both treasuries are super gorgeous and so are your creations!! Gorgeous tresuries both and your items fit in there perfectly! Such beautiful treasuries for your beauties! It was my pleasure dear:) Your origami is beautiful. Yhank you for this lovely featured!